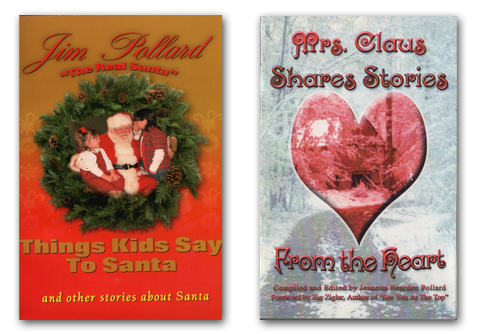 Did you know that both Santa and Mrs. Claus have published a book? It's true! Santa has published "Things Kids Say to Santa And Other Stories About Santa " and Mrs. Claus has published "Mrs. Claus Shares Stories From The Heart". You will have the opportunity to purchase Santa's book when you order your call. I just wanted to say “thank you” – you made a little boy’s night with this phone call! !